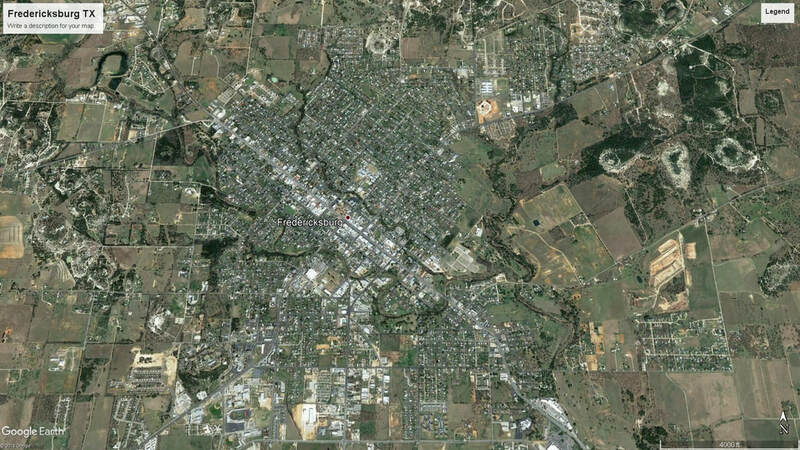 "Gillespie County is located in west central Texas. 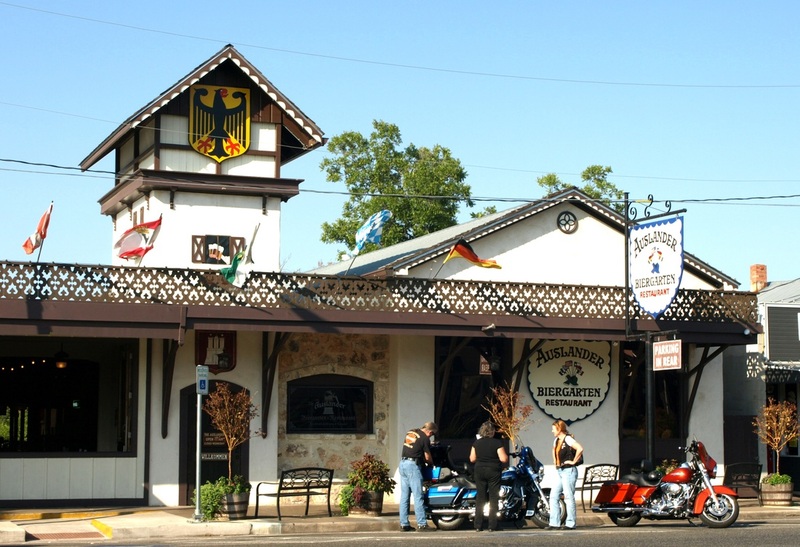 Fredericksburg, the county's largest town and county seat, is seventy miles west of Austin and sixty-five miles northwest of San Antonio. 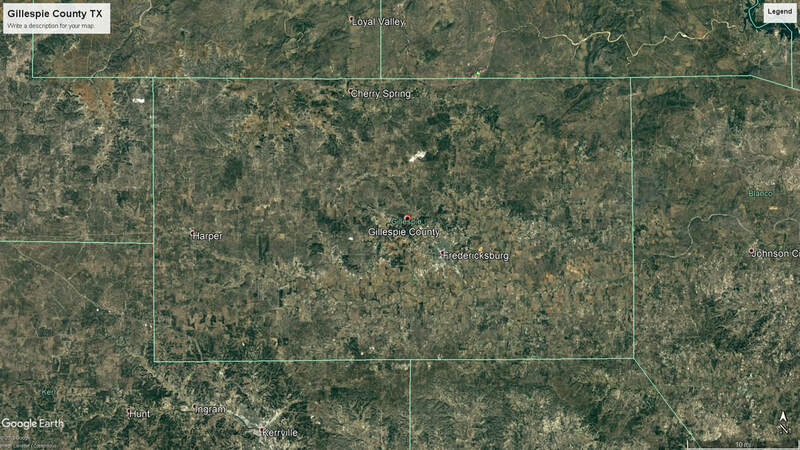 Gillespie County comprises 1,061 square miles. Most of the county is on the Edwards Plateau, except for the northeastern corner, which is in the Llano River basin. formally marked the new county off from Bexar and Travis counties on February 23, 1848, named it after Capt. Robert A. Gillespie, a hero of the recent Mexican War, and made Fredericksburg the county seat. Gillespie County originally included areas that today are parts of ﻿Blanco﻿, Burnet, Llano, and Mason counties. 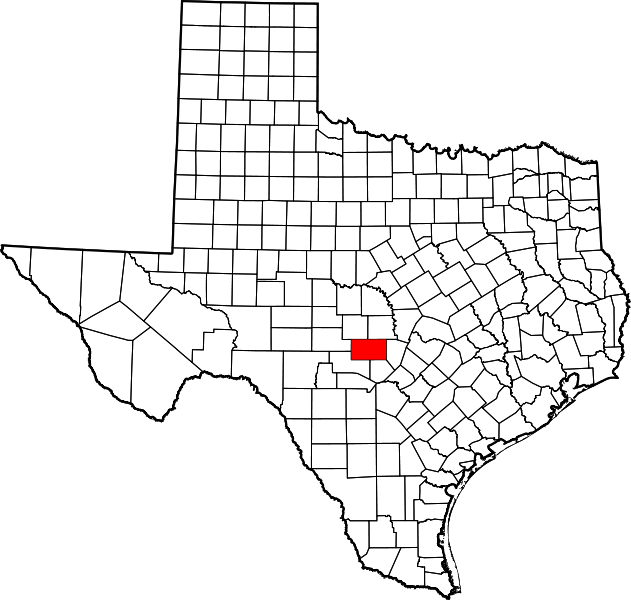 It underwent the first of five boundary changes in 1858, when the legislature formed Mason and Blanco counties, changed the Llano County boundary and established the present northern and eastern boundaries of Gillespie County. The last change came in 1883, when the county's boundaries were redefined and its present limits set." 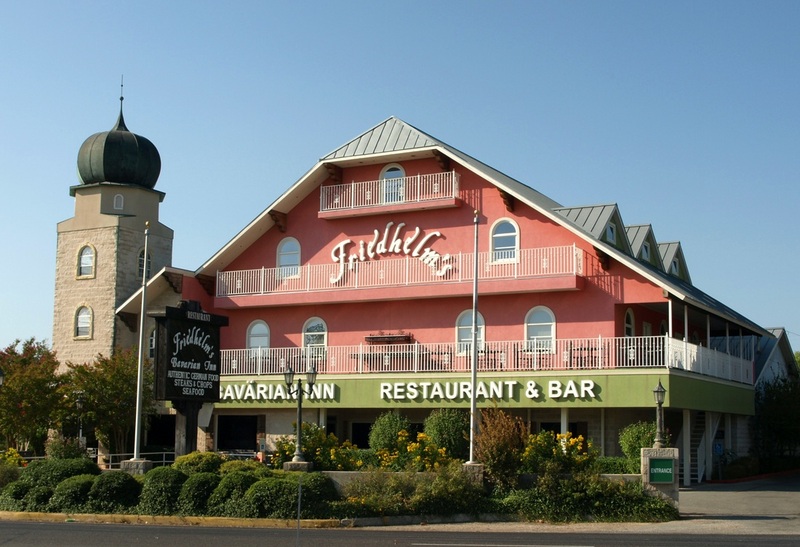 Fredericksburg is perhaps best known as the home of Admiral Nimitz of WWII fame. 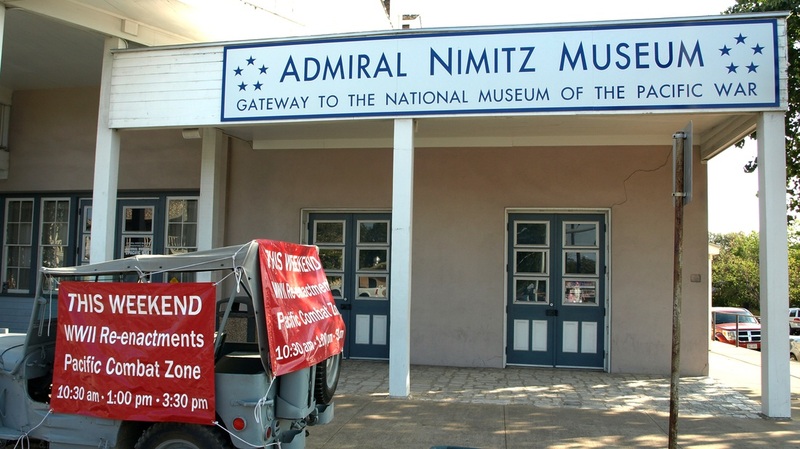 Where else would you expect to find the National Museum of the Pacific War but in central Texas? 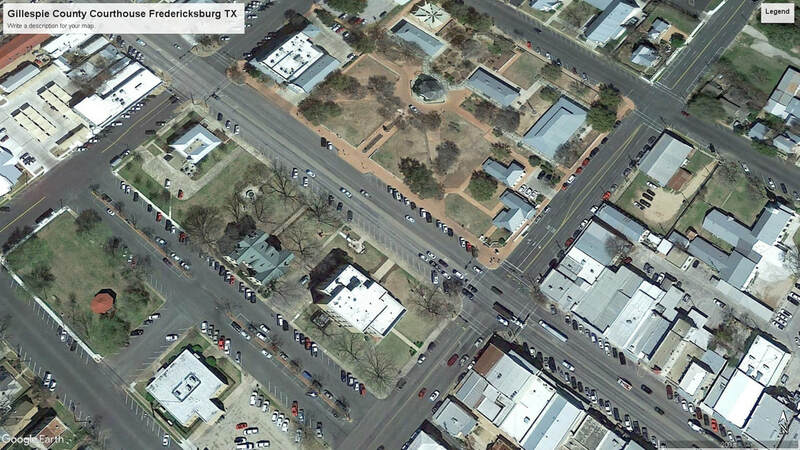 I first visited Gillespie County and photographed the courthouse in Fredericksburg on March 27, 2010. I returned on September 4, 2011. 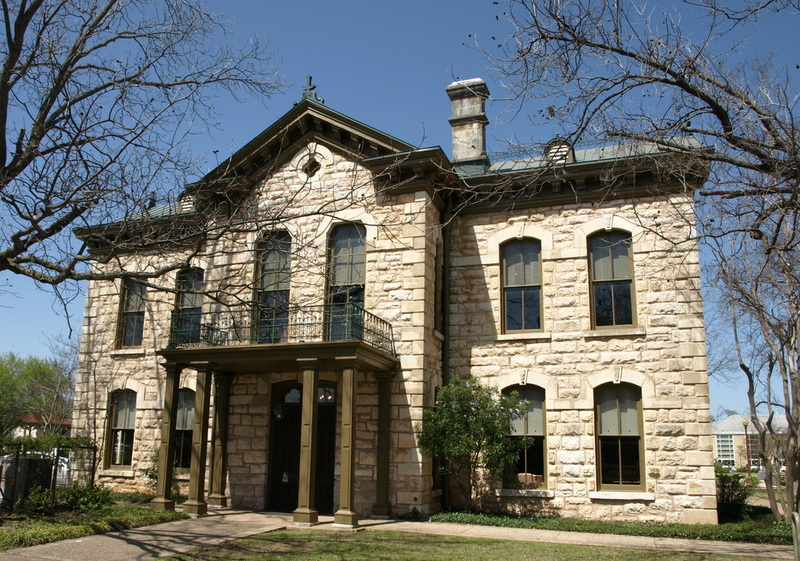 "The second Gillespie County Courthouse was constructed in 1881-1882 by Alfred Giles, a notable San Antonio architect. 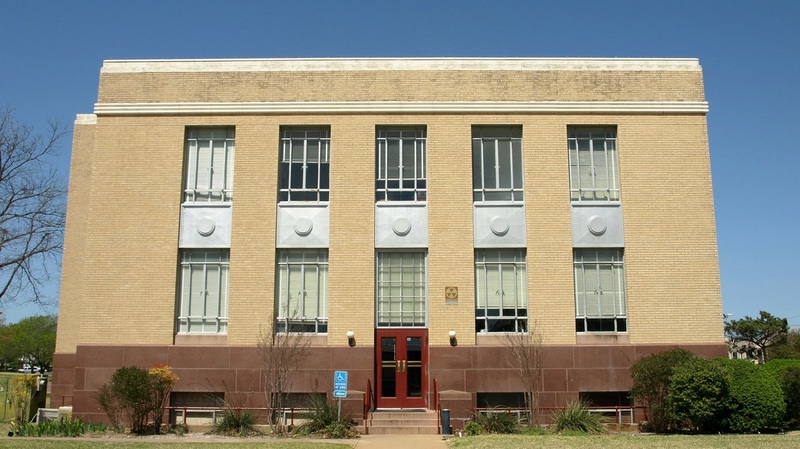 The two-story limestone structure situated in the courthouse square has an H-plan with entrances on all four facades. The north and south elevations and the east and west elevations are identical. The building, of native limestone, is constructed in a rough-faced ashlar stone with quoins, the belt course and lintels of smooth-faced ashlar. 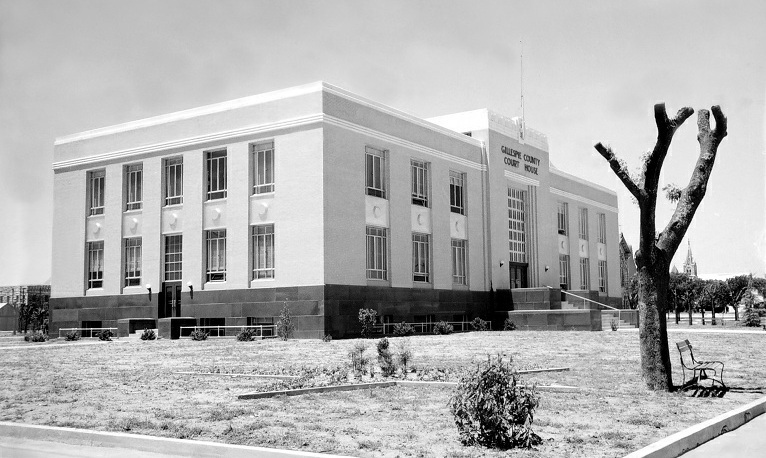 "In 1939 the present courthouse was constructed and the old courthouse was, for twenty-seven years, used as offices and storage for numerous organizations. In 1967 the structure was restored and now houses the Pioneer Memorial Library with a community meeting hall on the upper floor." Photograph circa 1939, courtesy TXDOT. Architect Edward Stein designed the current courthouse. 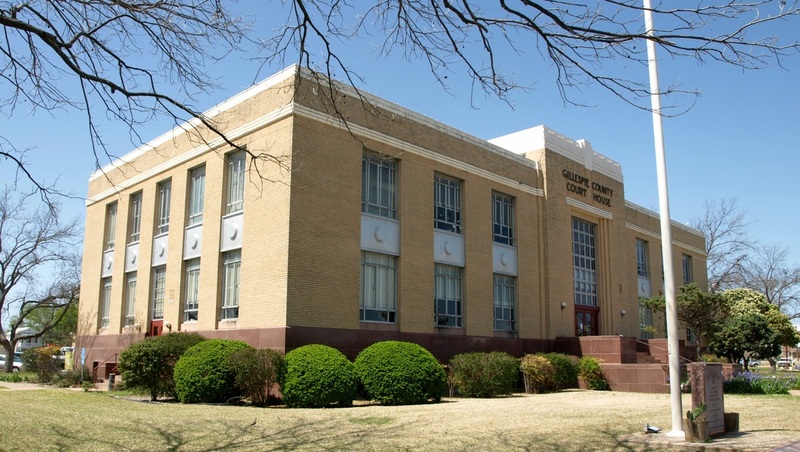 This courthouse was a WPA project, like many others constructed during this period.